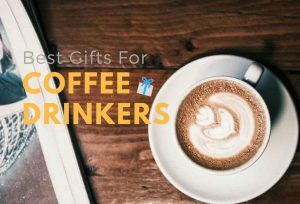 .Make sure you choose the perfect gift for your favorite boy age 10 by our list of Best Gifts For 10-Year-Old Boys. 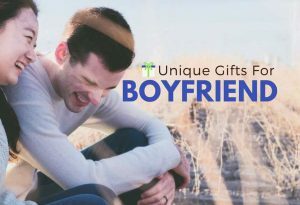 No matter the special boy on your list is your son, grandson, nephew, or your best friend’s son, surprise him with a great gift that will make him smile. 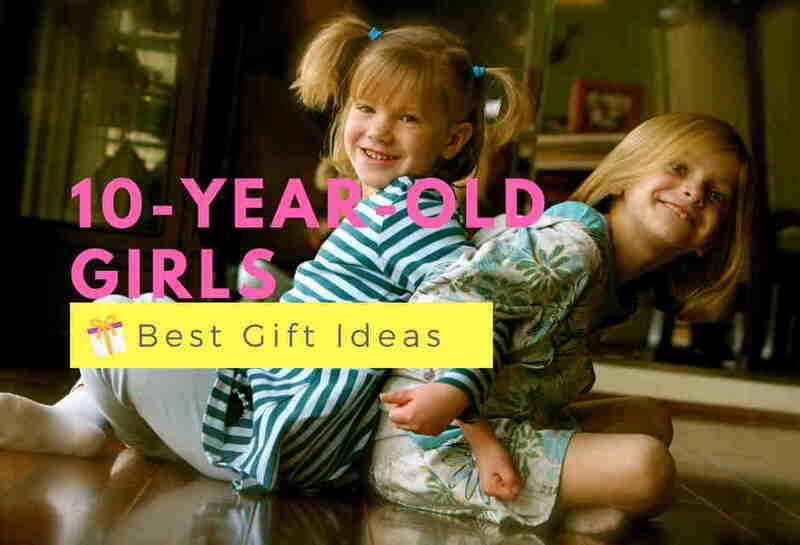 Before choosing the best gift, we better to know the developmental milestones for boys age 10. 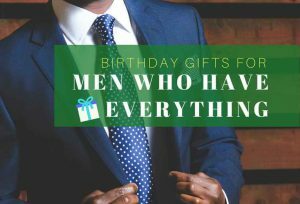 According to WebMD, most of the 10-year-old boys enjoy being with their friends and friendships are becoming an important part of their lives. They also become more critical of their own work and able to use logic to explain reactions. 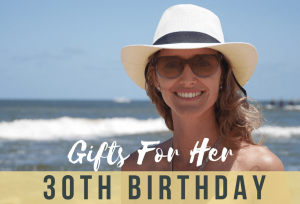 At 10 years old, boys have developed control of their large and small muscles, and they enjoy activities that require a degree of physical conditioning. They also continue to advance their fine motor skills, such as those needed for detailed artwork. 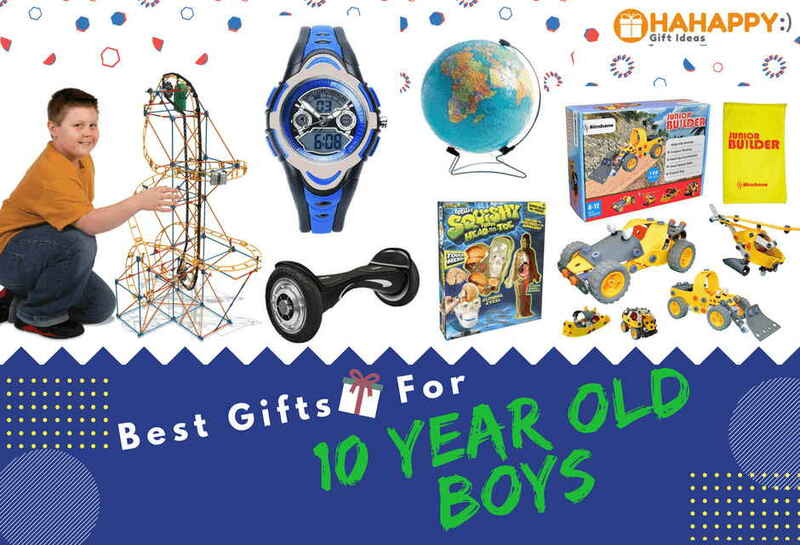 Thus, we have rounded up 12 best gifts for 10-year-old boy birthday gift ideas – from Hoverboard to board games, building set toy, puzzle, science toys, bouncing sticks, electronic drum kit, and some more cool and fun gifts. 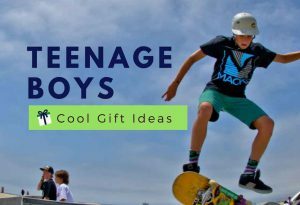 With our thoughtful gift list for 10-year-old boys, you need to look no further. 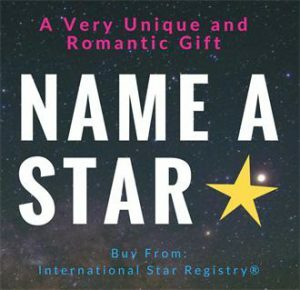 Discover now! 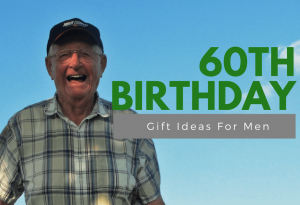 What do 10 year olds like for their birthday? 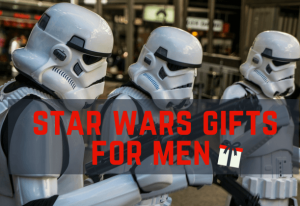 According to Amazon, hoverboard is probably to be the most asked-for item this Christmas. 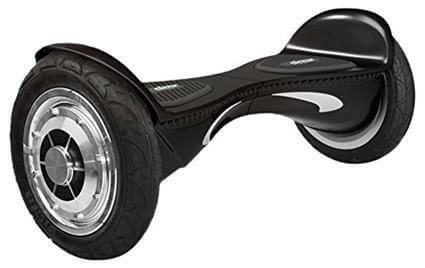 Skque Self Balancing Scooter Hoverboard is easy to control and safe to play. Just step on, every kid will be able to ride it, and will LOVE it! 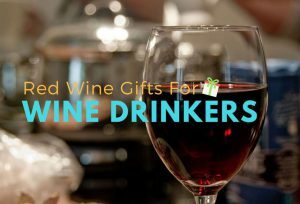 Perfect way for your child to have endless entertaining recreation and some high-tech fun! 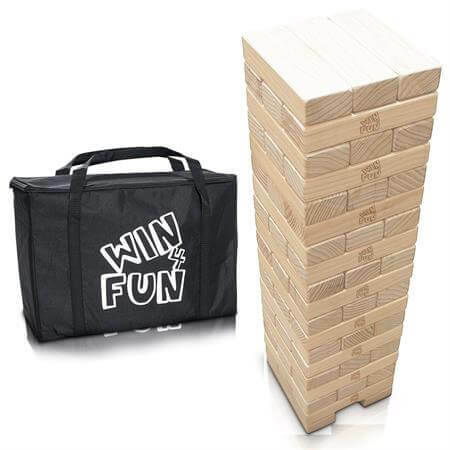 If you have been looking for a fun, exciting gift that will help your 10-year-old boy to have a good laugh with their friends, Giant Toppling Tower Tumbling Timbers Game is surely one of the best gifts to give! Apart from offering extremely fun, this challenging giant wooden tower blocks can help children improve their fine motor skills, hand-eye coordination, and become more patient. 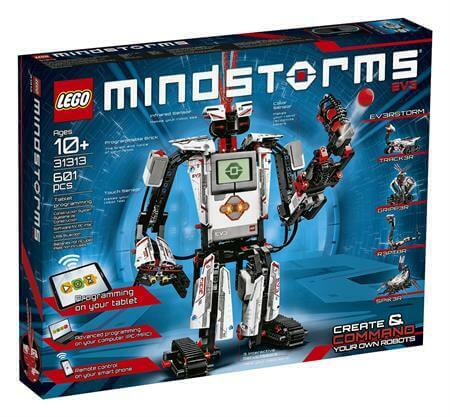 With LEGO® MINDSTORMS®, kids will explore the endless possibilities of LEGO and their imagination! It gives your 10-year-old boy the power to build and control his own robotic LEGO creatures, machines, vehicles, and inventions! With the LEGO Mindstorms EV3 robot, the revolution has begun! Go on a turning and twisting adventure with the Viper’s Venom Roller Coaster Building Set! 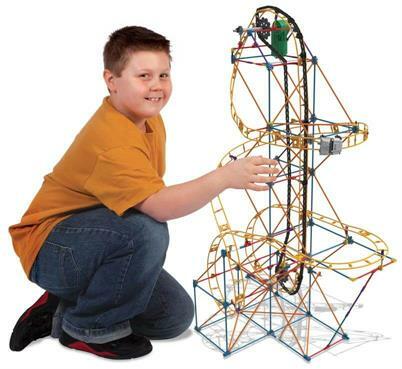 It helps children develop their imagination as they create and make a real-life replica of a roller coaster. 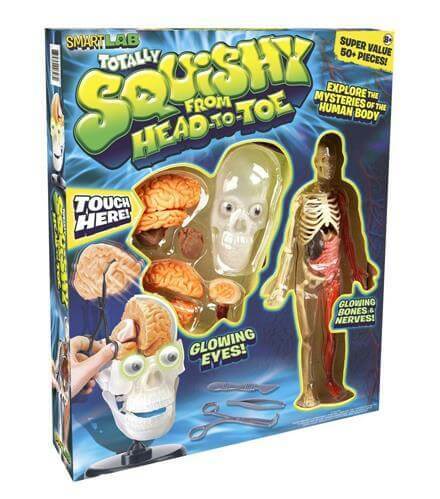 The Squishy Science from Head to Toe set helps kids learn the best through hands-on exploration and the gross parts of inside the human body. It is a high-quality, superior education toy for young kids who have great interests about the coolest science and human anatomy.With this cool and fun education toy, your child can be a surgeon! 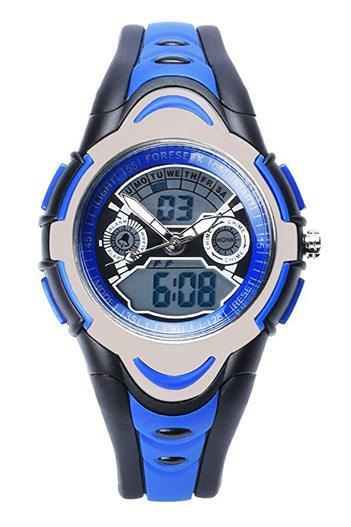 If you are looking for a perfect multifunctional watch that will teach your young boy to tell time, day and date, your quest stops here with the FORESEEX Sports Analog Digital Wrist Watches for Kids. This great watch meets all the needs as a daily use watch for kids, and your young one will also be thrilled with its stylish and modern design. 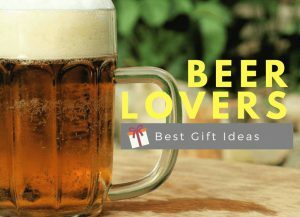 If you’re searching for gift ideas for 10-year-old boy who has everything, look no further. 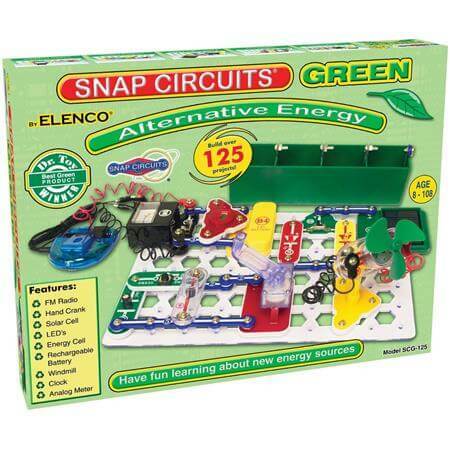 Give your child an exciting, hands-on introduction to how alternative energy strategies work with Snap Circuits Alternative Energy Kit, it makes learning about “Green Energy” FUN. The Ravensburger 3DThe Earth Puzzleball comes with 540 curved pieces that snap together snugly to form a detailed, beautiful globe without the use of glue. 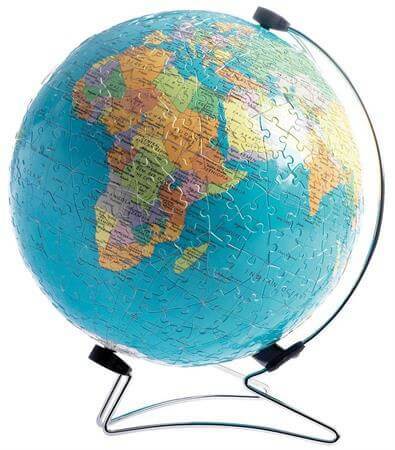 It is ideal for bugging geographers to explore the world in puzzle form and learn while they build. MIGHTY FUN Magic Minds is an exciting spellbinding strategy board game to enhance the powers of the little mind! 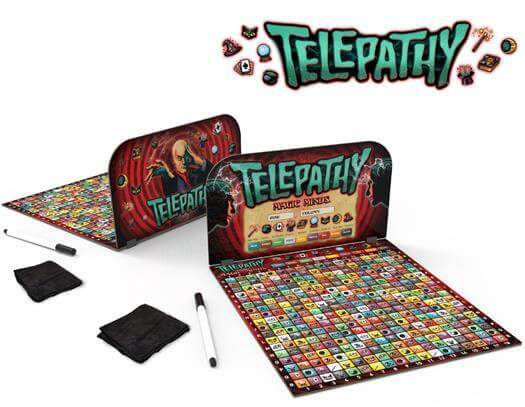 It is a fun, exciting game that benefits child’s brain – reinforce, learn, and exercise essential mental skills, including memory and logic thinking. 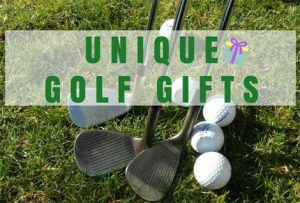 Need a gift for 10 year old boy who likes sports? Search no more. 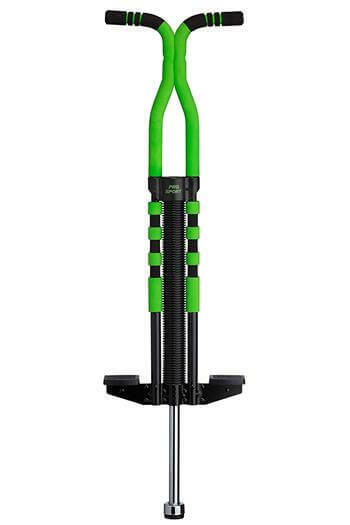 The New Bounce Soft Pogo Stick is the most fun way to start bouncing today! It is a perfect classic toy that offers hours of fun and good exercise for kids. Bouncing help children stay strong with a strong, healthy back as every move they make on the pogo stick requires their back to help stabilize them. As a safety precaution, it is always recommended to use a helmet during bouncing. 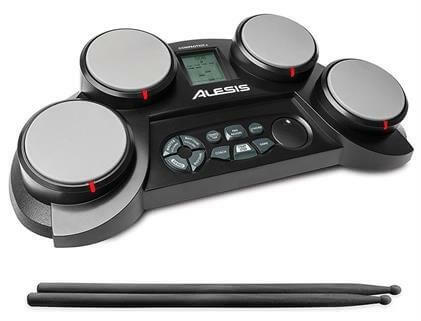 The Alesis Compact Kit 4 Portable Electronic Drum Kit is a tabletop electronic drum set that’s a perfect first kit for bugging musician learning the basics of drumming. It includes 4 velocity-sensitive pads which deliver 80 percussion and 10 effect voices with a realistic feel and feedback. 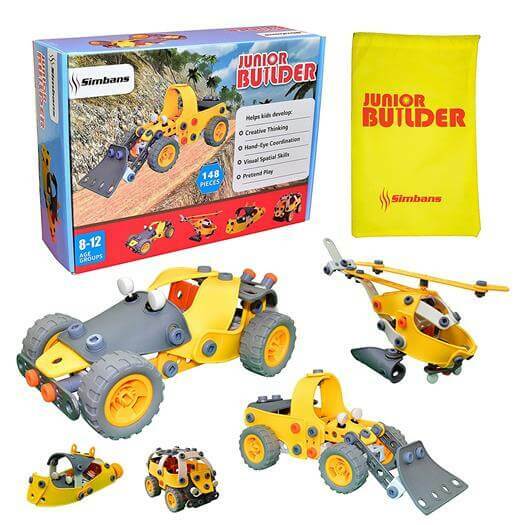 Simbans JB Construction Set motivates young boys to build unlimited toys with their imagination! This creativity construction engineering set toy helps children enhance hand and eye coordination, improve fine motor skills, and generate ideas and creativity while playing and building.